Thomas Jefferson said that good wine is a necessity of life. Well, if you agree then the organic Herb Garden for Wine Lover’s is for you. Carefully chosen for their ability to compliment both wine and food this collection of culinary herbs includes a handy booklet that provides tips for pairing wines with dishes seasoned with herbs. 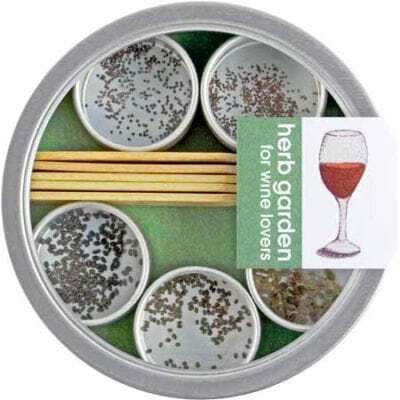 This popular pocket garden is packaged in an attractive recycled steel container and is the perfect gift for ANY wine aficionado on your list. 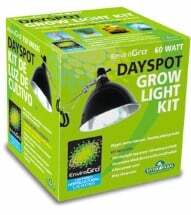 Includes wooden plant markers and planting instructions, along with FIVE herb varieties: Greek oregano, English thyme, basil bouquet, Italian parsley and garlic chives. Dimensions: 5-inch diameter. 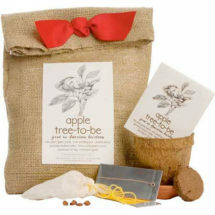 Contains everything you need to start your own apple tree from seed. 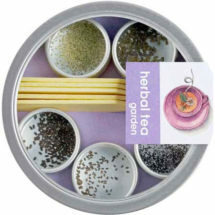 A unique collection of herbal teas and flowers that are ready to plant indoors or out. 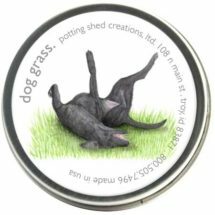 Easy to grow, organic barley grass serves as a natural detoxifier and deodorizer.